Strength of the Institute Richard has been a trained member of the New Zealand Association of Psychotherapists since 1989. He has a Doctorate in Clinical Hypnotherapy, and is a Comprehensive Registered Nurse (general and psychiatric) and a New Zealand trained teacher. He is a certified instructor with two international schools of Chinese Chi Kung The Universal Tao and Chi Lel). He is trained in numerous other therapeutic modalities including Therapeutic Touch, Reiki (level 3), Medical Herbalism and Shamanism. Since becoming a Certified Trainer of NLP in 1993, he has personally trained over 600 NLP Practitioners, 300 Maser Practitioners and 70 NLP Trainers. 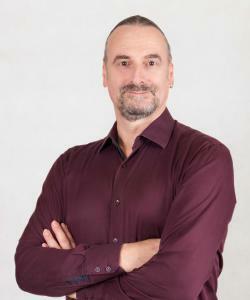 Richard has three passions within the NLP field: · Utilising NLP to model spiritual methodologies and experiences · Spreading NLP based models of co-operative relationships and conflict resolution · Clarifying the neurological basis of the phenomena identified in NLP He has written eight books, and they, as well as his over 120 internationally published articles on counselling and NLP are variously published in 12 languages. His book Transforming Communication is a required text in several New Zealand and Japanese degree programmes, and has been used as the basis for training top management at New Zealand Inland Revenue, and managers at Bank of New Zealand, New Zealand Immigration Service, medical practitioners at Auckland Medical School, Church ministers at Auckland Theological College, nurses in several New Zealand degree programmes, retail managers from the New Zealand Retailers Association, as well as management and staff at numerous other business and educational institutions and government agencies. His book RESOLVE, translated into several languages, is the basis of a University paper at the University of Pyatigorsk in Russia (where psychologists are trained for work in the Chechnyan war zone). He has also run world service projects such as training Psychiatrists in Sarajevo to deal with Post Traumatic Stress Disorder in survivors of the Bosnian and Kosovo conflicts. Richard is a father and grandfather, and lives in New Zealand with his partner and co-trainer Julia Kurusheva. Data and Facts Transformations is New Zealand's largest NLP Training organisation, and a world-leading NLP development centre. The principal trainer at Transformations is Dr Richard Bolstad. Other certified NLP trainers teach with Richard on most trainings.